Protect your business with an insurance policy that’s right for your business. The value of a good insurance policy is the peace of mind that comes with it. What is the right insurance for your business? Peninsula will ensure that your coverage is best suited to your individual business needs. We can arrange policies that aren’t available to the general public – ones that meet the individual needs of your organization. Ask us about coverage for your business. Finding an insurance policy can be tough, especially to suit a small business. The types of insurance vary greatly and it’s important to have the right policy in place to protect your assets and your business from potential risks. Peninsula can arrange an expenses policy for your business. The insurance will cover your costs or potential compensation should you become involved in an employment dispute or claim, such as, for unfair dismissal or discrimination; subject to the terms and conditions of the policy. Do you have an insurance plan? 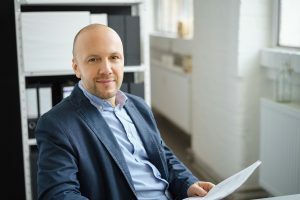 If you’re running a small business without a commercial insurance plan, you are at risk for costly setbacks as the result of unexpected events or employee issues. As a business owner, it is important to see the long-term benefits. The cost of the right liability insurance could save you from greater expenses in the long run. Prevent the worst-case scenario that could seriously damage your business. Speak to Peninsula’s team of consultants to arrange or walk you through an insurance policies specific to small businesses, and find a solution that’s right for you. Avoid the hassle, have Peninsula arrange your insurance policy instead. For more information about the policy and exclusions, contact the Peninsula team. Call our complimentary employment advice line, anytime at 1-833-247-3652. We’re available 24/7 and we’re ready to walk you through the costs, benefits, and coverage for an insurance plan that is right for you and your business. Our dedicated Employee Relations Advisor is available to take your call 24/7. Do you have employment-related questions? Are you following HR best practices that are right for your business? Are you compliant with health and safety? The Peninsula team will provide a once-over completely free of charge. There's no obligation to use our services and no pressure. Guaranteed. Peninsula provides extra support that makes all the difference. Their on-site visit was professional, efficient, and an overall great experience. The information on HR was comprehensive and broken down really well. I couldn't recommend Peninsula more. © 2019 Peninsula Employment Services Limited. Address: 123 Front Street West,Suite 200, Toronto, M5J 2M2, Canada.